How to make Portuguese chouriço (sausage) on horseback. In a small skillet on medium heat place 1 tablespoon of olive oil and heat until hot, but not smoky. Add the chouriço and cook until golden brown and slightly crispy on both sides. Remove from pan when done and add the onions. Cook onions on medium until golden brown stirring often. If the pan is to hot lower heat. I like my onions slightly undercooked but you cook them more or less to your preference. Add the wine and cook for about 2 minutes stirring often. Remove onions from heat and set aside while you cook the egg. Add the remaining 1 tablespoon of olive oil to a nonstick skillet on medium heat. When the oil is hot but not smoky, add the egg and fry until the edges are crispy. Lower heat if necessary. Turn off heat and remove pan from burner. Place the chourico on bread with the onions on top. 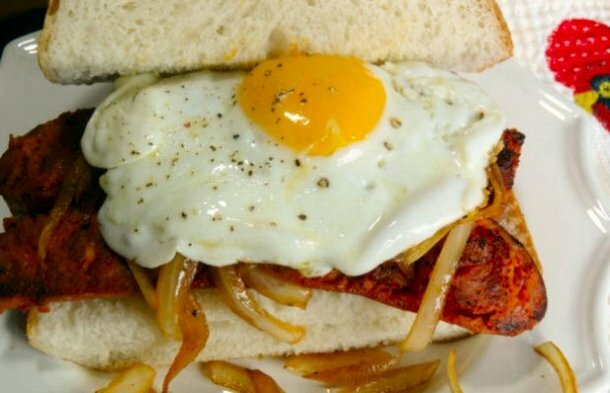 Add the fried egg on top of the onions and serve with the bread over it or on the side. 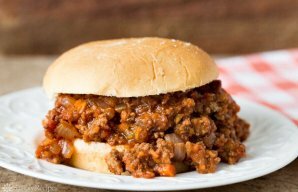 A delicious sandwich made with Portuguese sausage (chouriço) and ground beef. Tosta mista is a signature Portuguese ham and cheese melt, it makes a great quick meal for any time of the day. 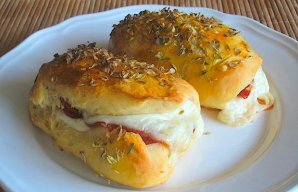 You can use Portuguese rolls or papo-secos (buns). 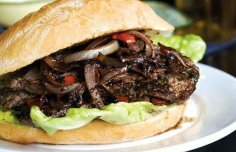 This Portuguese steak sandwich is easy to make and delicious.